A female student was found dead in a dorm room this morning at Villanova University on the Main Line. 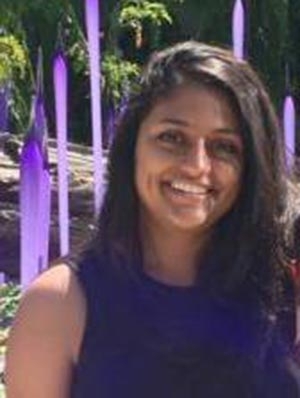 The body of the 18-year-old sophmore business student Kinara Patel was discovered in her room in Sullivan Hall on Villanova's main campus. Police say there were no signs of foul play but an investigation is ongoing. Her cause of death is currently unclear. There were no sign of self harm and she had no known health conditions. An autopsy will be performed Friday morning to determine the cause of death. UPDATE 8/31: Nearly 100 people gathered at St. Thomas of Villanova Church Thursday night to pray for Patel and her family. The medical examiner's office says an autopsy was completed Friday, but results are pending awaiting other tests like toxicology to come back from the lab. Authorities are investigating whether alcohol played a role in Patel's death. Patel was out with friends Wednesday night in Bryn Mawr and returned to her dorm late last night. Police do not yet know if alcohol was involved. The University's Vice President of Student of Student Life Fr. John Stack released a statement reiterating these facts. He also assured the university's full cooperation with the authorities and extended deepest sympathy and prayers to the family and friends of the student. The university community will gather at Saint Thomas of Villanova Church at 7 pm to pray for the young woman and her family. Counselors will also be available tonight and tomorrow for anyone who needs to talk. The Counseling Center Staff, located in Room 206 of the Health Services Building and can be reached at 610-519-4050. Former Philadelphia Councilwoman Joan Krajewski has died at age 79. The Northeast Philadelphia Democrat represented the 6th District from 1980 until 2012, when she retired. She had been suffering from chronic obstructive pulmonary disease and had surgery on her esophagus a fear years ago. She was remembered by her colleagues for her approachable person, feisty manner, humorous wit, and as a staunch defendant of her constituents in the Northeast. She is survived by three sons. A 30-year-old Lower Merion mother has been charged with homicide after a a deadly crash involving a delivery truck in Bryn Mawr earlier this month. Prosecutors say that Meredith Williams-Earle was speeding and driving under the influence when she ran a stop sign at the intersection of Morris Avenue and Spring Mill Road. She struck a delivery van killing the 72-year-old driver. Williams-Earle also had her two-year-old son in the back seat of her car. Montgomery County District Attorney Risa Ferman says Williams-Earle had a combination of Ativan and alcohol in her system at the time of the crash. She is charged with homicide-by-vehicle DUI, which carries a mandatory three-year jail sentence.